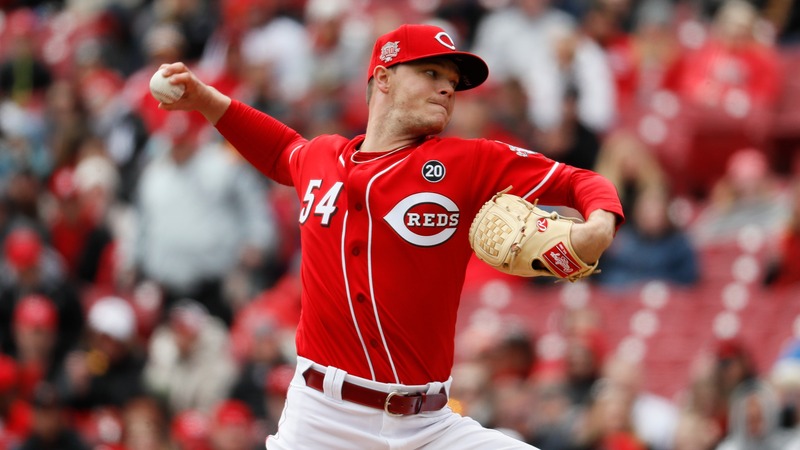 Sonny Gray's second start of the year comes Friday against the Pirates, the same team who roughed him up in his Reds debut on Sunday. The Sonny Gray era in Cincinnati got off to an inauspicious start five days ago, when the Reds pitcher was chased after 2 2/3 innings in a bad loss to the Pirates. That performance sparked a five-game losing skid for Cincinnati, which has tumbled into a tie with the Cubs at the [bottom of the NL Central](https://www.betchicago.com/mlb-betting/standings). Gray's second start of the year is also against the Pirates (-124), who host the Reds (+114) in the second leg of a four-game series on Friday (6:05 p.m. CT). Joe Musgrove is on the bump for the Bucs. __NL Central odds:__ [Reds, Pirates projected to finish last](https://www.betchicago.com/nl-central-odds-cubs-favorite-cardinals-brewers) After getting traded by the Yankees to Cincinnati in January, the former ace opened his Reds tenure by allowing five hits and three runs (two earned), including one run in each of the first three innings. His final pitch was a bases-loaded walk against Pittsburgh's Trevor Williams to fall behind, 3-0, in an eventual 5-0 loss for Cincinnati (-135). It was a continuation of Gray's forgettable 2018, when he posted a 4.30 ERA, second-highest of his career, and a career-high 1.50 WHIP in 30 appearances with the Yankees. The Reds (1-5) beat the Pirates, 5-3, as slight favorites to open the season three days prior to Gray's start. That March 28 season opener was in the balance until a pair of seventh-inning homers from Jose Peraza and Derek Dietrich -- two non-roster invitees to Spring Training -- broke things open. Cincinnati hasn't won since, with two shutout losses to Pittsburgh and three one-run results against Milwaukee. The Reds' futility is still good for a tie with the Cubs (1-5), who opened as 9/5 favorites at Westgate to win the NL Central. __MORE:__ [Professional, casual bettors split on Cubs' 2019 season outlook](https://www.betchicago.com/cubs-betting-2019-season-professional-casual-split) The issues plaguing the Cubs and Reds are vastly different. The Reds rank last in MLB in batting average (.164) and on-base percentage (.244). The Cubs rank first in both (.307/.398), but their lousy ERA (6.93) is second-worst in baseball. The Pirates (2-3) have been a top-five team on the mound this season with just two wins to show for it, thanks to below-average power from their lineup. Musgrove, Friday's starter, wasn't sharp in his two starts of Spring Training, allowing 12 hits in nine innings of work. Still, he pitched two perfect innings in relief in that 5-0 win on Sunday, and he has an opportunity against a Cincinnati lineup that struggles to get on base. The onus then falls on Gray to stay alive long enough for run support to give underdog bettors a chance. Don't expect it. Gray has just two quality starts in his last 12 tries, and he had a 5.49 ERA last year when pitching on fewer than six days' rest. A Gray disaster could leave value for OVER bettors, but trends point to UNDER 8 (-115) on Friday. Cincinnati has gone UNDER in all six games this season -- a product of its inept lineup -- and the UNDER is 3-2 in Pirates' games this year. Cubs fans might be rooting for a Pittsburgh collapse in this one, with Musgrove scheduled to start for the Pirates in Chicago on Thursday. ## Reds vs. Pirates odds, probable pitchers __Reds (+114) at Pirates (-124), 6:05 p.m. CT; Total: 8 (UNDER -115)__ CIN: 1-5 PIT: 2-3 RHP Gray vs. RHP Musgrove Betting note: Sonny Gray is 0-2 when starting against Pittsburgh with an ERA of 9.34 and a WHIP of 1.96. His team is 0-2 in those starts. __Full card__: [Schedule](https://www.betchicago.com/mlb-betting/schedule) | [Friday's MLB oddsboard](https://www.betchicago.com/mlb-betting/odds) __PLAY:__ Our [free daily contests](https://betchicago.chalkline.com/) for the chance to win a BetChicago prize pack.